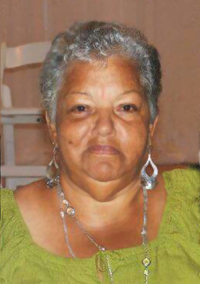 A service celebrating the life of Octavia Rosalind Ann Bean Powell, in her 75th year of 4 Sea Express Close – Unit 4C, Dr. Cann Park, Southampton SB 02, will be held at the Seventh-day Adventist Church, Secretary Road, St. Georges on Sunday, August 19, 2018 at 1:00 p.m. Interment will follow at the Richard Allen A.M.E. Cemetery. Visitation: Relatives and friends may pay their respects on Saturday evening only from 7:30 p.m. to 9:00 p.m. at AMIS Memorial Chapel, Khyber Pass, Warwick. Octavia Roslind Ann Bean Powell: Loving daughter of the late Kathleen Vera Bean and loving mother of Kathleen, Coulbert and Linda Bean. Mother-in-law of Tammy Bean and grandmother of Tamara, Jahni, Renee, Craig, Cory, Taeeja and Katherine. Great Grandmother of Zahni, Jhazz, Yahz, Caio. Special sisters: Ruth Dillas, Margaret Hudson. Sisters: Rhoda Baker, Phyllis Gayle, the late Betty Tucker and the late Helen Seepersad; Sister-in-law Olivia Bean. Brothers: Gerald [Tiny], Dennis [Cora], Collingwood [Jennifer]; and the late Vincent, Melvin and Edward Bean. Brother-in-law Lasingh Seepersad. Numerous nieces, nephews and friends. Special friends: Robert Welch, Richard Lara, Prudence Spriggs, Victoria Castle, Beverly Joell, Judy Darrell and Roslie Ible; godchildren: Laverne, Matiese, Shanell, Omar and Lakeisha.